The Washingtonian‘s Great Places to Work competition selects organizations that offer the most generous pay and benefits, flexible schedules, meaningful work, and happy colleagues. 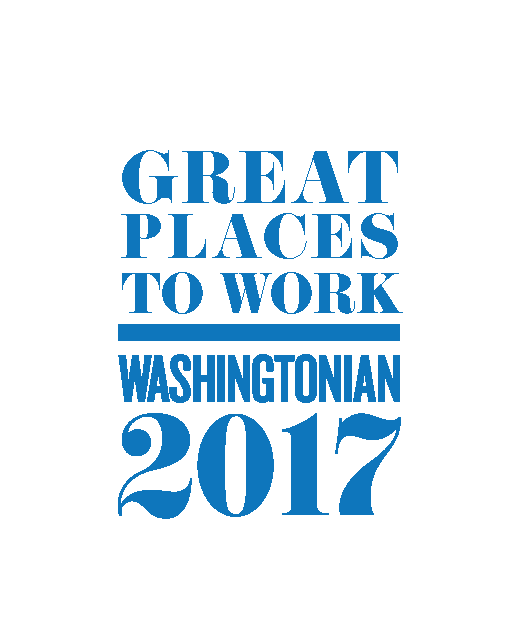 This is the ninth time the Washingtonian has chosen Great Places to Work in the Washington, DC area. The feature dates back to 1999 and is published every other year. Among Washingtonian’s 50 winning workplaces, there are a mix of sizes (from an organization of 10 employees to one with more than 80,000), as well as industries (winners include information-technology firms, government contractors, financial firms, nonprofits, and more). financial stability, commitment to charity and community, and the recognition and respect given to employees. Winners were chosen after a panel of editors reviewed nearly 200 companies and more than 8,000 employee surveys. The final determinations relied heavily on the scores given by a company’s employees. 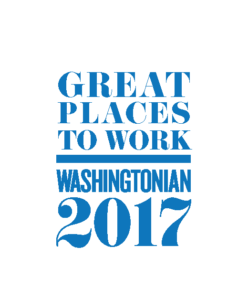 Avizia is honored to be recognized by the Washingtonian as one of the 50 Great Places to Work in the Washington DC area! At a company developing telemedicine—its specialty carts connect patients with nurses and doctors via video feed—it’s no surprise that managers are fine if employees work remotely and are simply available via videoconference. This flexibility, as well as the mission to promote greater access to medical care, keeps employees happy. Quarterly employee awards, respected management, an annual paintball outing, and weekly “Fat Friday” treats are appreciated, too. Perk: Unlimited vacation. See the complete list of winner here.